Here’s a little video that was made at Big White about balancing on both feet simultaneously through the turn. Balancing on both feet enables us to steer the inside ski more effectively. The big difference between Telemark skiing and Alpine skiing is that in Alpine skiing you need to have your weight balanced on the outside ski all the way through the turn. In Telemark skiing we like to have our weight equally distributed between both of our feet, giving ourselves the ability to steer that inside ski all the time. One way we can determine if we’re equally balanced on both our feet is to give ourselves a little hop. We can take off and land on both feet at the same time, giving one sound with the ski’s. Telemark skiing with our weight on the outside ski, results in the inside ski doing things we really don’t want it to do. It becomes ‘squirrelly’ and acts as if it has a mind of it’s own. Being balanced on both feet means we can take charge of the inside ski and actively steer it where we want it to go. While the hop is a really good static exercise (it’s quite challenging when moving), an easier way to equally distribute our weight while we’re moving is to shuffle our feet underneath us, back and forth, while we’re going across the hill. It is really hard to favour one foot over the other during this exercise. I hope this helps you out with your Telemarking and let’s go out and enjoy the snow! A huge life-change has led to my first taste of summer since 2008. For someone who thrives on winter, has worked back-to-back ski seasons for eight years, and has largely been responsible for only myself, this change has taken some adjusting. Rest assured though, it’s been fulfilling: the catalyst bringing me to home territory, south of Sydney in the Illawarra region of Australia, was the arrival of my daughter. Emira* was born last August, in the middle of the New Zealand ski season. Like many newborns, she had a few minor issues at the start, but after a couple of weeks managed to settle into a routine of sorts. Since then, Emira has had swim lessons (the youngest in the swim school! ), participated in local library reading groups, been cruising the area in our bike-trailer, as well as pretty much melting the heart of everyone who meets her. The last 6 months have been an adventure that has changed my perspective and priorities! I am sure many of you can relate. 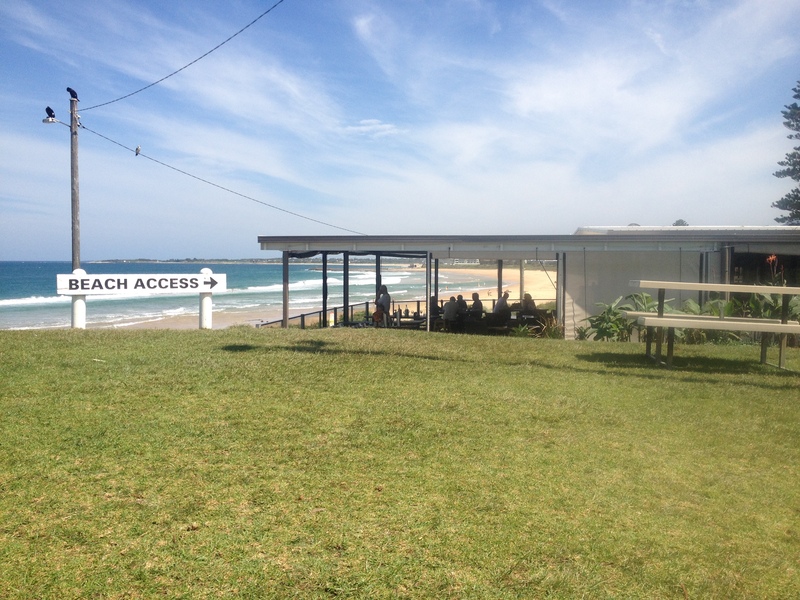 Currently I am working in a beach-side cafe as a chef and continuing training for the ski season in New Zealand. Having worked in kitchens before embarking on my career in the ski industry, this was a relatively easy change to make. It has been good to have skills to fall back on to provide a consistent and relatively stable income. The big advantage? A beach café is dependent on season and weather, allowing me to return to Coronet Peak for the southern winter! Looking North from Sandon Point on the commute home. 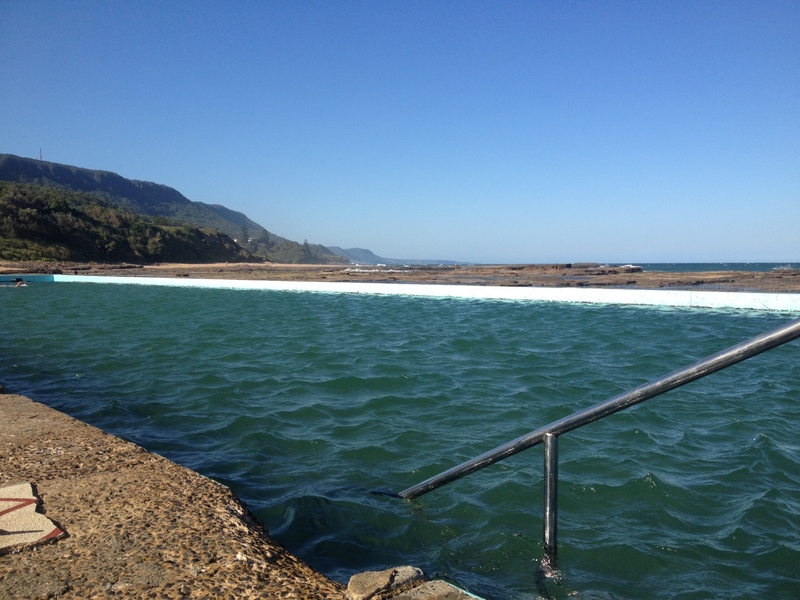 Cycling along the coastal bike path between Thirroul and Bulli, provides a scenic ride to and from work. 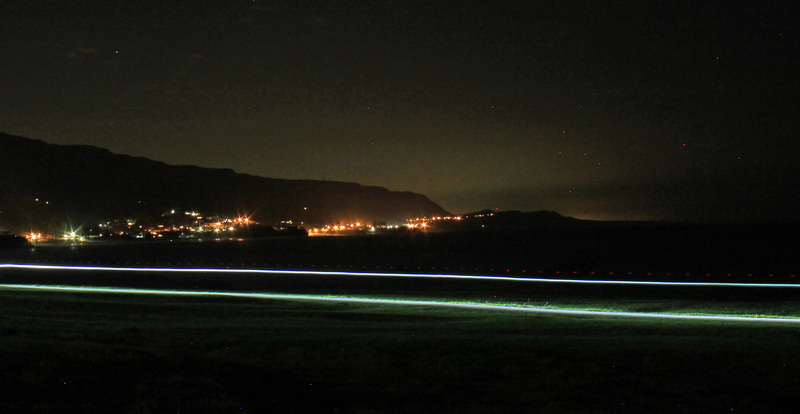 And the Northern Illawarra in general lends itself well to training and maintaining a respectable fitness level. As well as the undulating bike paths there are bush tracks that ascend the escarpment – great for high intensity running – and ocean-side rock pools to provide more variety for swimming. Rather than staring at a black line in a chlorinated pool, it can be more interesting to swim in salt water with fish and other marine creatures! It is strange to have a summer after 15 winters, however, it has been fun and rewarding. My partner and I are embracing the changes, and this year are planning to introduce Emira to her first proper snowy winter – in Queenstown for the 2016 season!